Monica provides a complete solution for monitoring and control of any kind of instrument, be it a software module or a physical device. Use it as an out-of-the-box solution or as a framework for building tailored complex systems. SatScout is a handy mobile application which helps end users or professional installers in commissioning VSAT terminals. Blink is a CCSDS-compatible software-based satellite data acquisition system. Blink utilizes the processing power of today's top-of-the-line commercial CPUs and GPUs and radically reduces costs, improves flexibility and speeds up the ground station evolution. 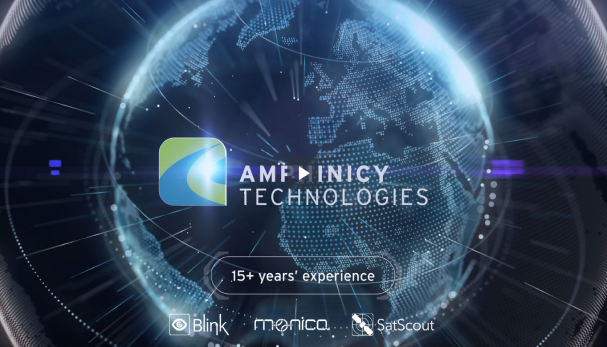 Amphinicy Technologies is the world’s leading software provider for companies operating in the satellite industry. For more than two decades, our engineers have provided all-round support for satellite operators, equipment manufacturers, teleports, and multimedia and broadband service providers. We consult our customers, collect the requirements, design the system and develop the tailored solutions.